It's hard to believe, but the 500th anniversary of the Reformation is just around the corner. How is your church or school planning to celebrate? If you're looking for a program that truly reaches out to your VBS families, Truth Be Told could be a perfect fit. Truth Be Told teaches about the five key events in the life of Martin Luther and the truths found in God's Word. If your church used Mighty Fortress for VBS, you already own Truth Be Told (included in the All-Inclusive Starter Kit). You can even reuse your Mighty Fortress decorations for Truth Be Told, too! With the familiarity of the decorations, church staff, and volunteers, your VBS families will feel invited and comfortable at your Reformation event. If you don't have Truth Be Told, it's available here. Truth Be Told consists of five simple 20-minute rotations, but rotations can be expanded by adding time for crafts, snacks, or songs. Get your creative juices flowing and add some VBS excitement by tying in Mighty Fortress songs or crafts. 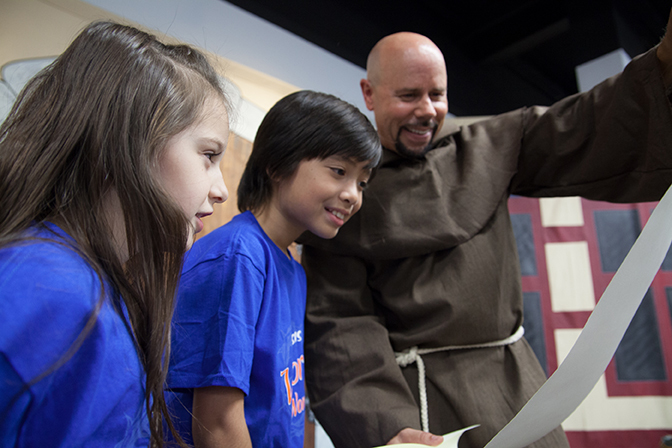 Kids will have fun remembering VBS while learning something new about Martin Luther. Truth Be Told can be used as a one-day event, Sunday School series, or as a Dayschool unit. If you are unsure that Truth Be Told is a good fit for your church, check out the free sample on our Reformation Resources for Churches and Schools page. While you are there, compare Truth Be Told with other Reformation resources with our comparison chart. Just like our VBS, our Reformation resources have purpose—to share the life-changing message of God's gift of salvation through Jesus. Download the overview and look at the comparison chart to jump start your Reformation celebration planning today!